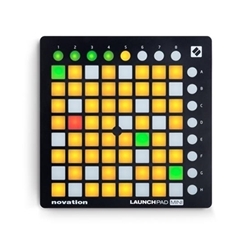 Launchpad’s 64 pads integrate with Ableton Live and are lit with RGB LED’s to assure what clips are loaded, playing or recording. Use the Launchpad 64 to control the mixer as well, whether its starting and stopping loops, arming tracks or volumes, pans and sends. Launchpad is lightweight and equipped with USB. You can also combine it with more Launchpads or other Launch products to build yourself a fully hands-on Ableton Live studio. Just add Launch Control, Launch Control XL or Launchkey. ?Launch multiple clips at once, trigger scenes and navigate your Ableton Live session.